2:1 or higher in an undergraduate degree in Psychology conferring Graduate Basis for Chartership (GBC) from the British Psychological Society. 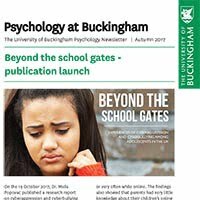 The School of Psychology at the University of Buckingham is highly research active, and during 2016 we have consolidated our research projects and interests into four main school research hubs. See our Psychology Postgraduate page for more information about our areas of specialism in research, and research opportunities which are currently open for applications. In addition, details of individual academic research interests and collaborations can be found by visiting our School of Psychology Staff pages. Our current Postgraduate students are working across the full range of our research interests: details are given below. Overview: Over 62% of spinal cord injury (SCI) patients experience chronic pain, however, in the UK there is currently no tailored pain management programme. The development of a tailored programme requires a profile of the biological, psychological and social characteristics of chronic pain sufferers with SCI but the existing knowledge base is fragmented. Margaret is carrying out a study with spinal cord injured in-patients at the National Spinal Injuries Centre (NSIC), Stoke Mandeville. Participants will be asked to complete a set of eight pain and psychological assessments and to provide salivary cortisol samples to assess levels of stress. Additionally, a cross-sectional study using the same questionnaires and cortisol sampling will be undertaken with out-patients of the NSIC. It is anticipated that the outcome of the research will be the generation of a knowledge base from which a SCI-specific pain management programme will be designed. Overview: An impressive body of literature has investigated the relationship between social factors and health outcomes. It is apparent that social support influences health via physiological, psychological and behavioural mechanisms, providing benefit in a diverse range of disease and injury states, via both reduced risk to illness and improved recovery from it. Within chronic pain, support is available from many sources; through medical professionals, NHS and charity-led formalised peer support programmes, community support and online forums. Jill is seeking to understand the factors that predispose people living with chronic pain to choose where they access support, and how these sources of support affect pain outcomes. Overview: Disclosure of HIV status is related to increased emotional and social support, as well as improved access to HIV prevention and treatment services. However, disclosure of HIV status is a complex process that carries important positive outcomes alongside challenges and risks. It is an important first step in gaining HIV-specific social support and can help prevent the spread of HIV to HIV-negative individuals and facilitate adherence to antiretroviral medications. However, sharing such information may also render the individual susceptible to stigmatizing reactions such as social ostracism, physical harm, and workplace discrimination. Kate is investigating reasons why people do and do not disclose their HIV status, with the ultimate aim of developing an intervention to facilitate disclosure. Overview: Emma is looking at the motivational drives, practice routines and expertise development of those who take part in quizzing. She is using mixed methods techniques and is following the Grounded Expertise Components Approach to expertise research (Friedlander & Fine, 2016). Overview: Kirsty is investigating children’s understanding of how they regulate and hide their emotions. She has assessed primary school-aged children using one-to-one interviews and is using a combination of quantitative and qualitative techniques to explore children’s understanding. Overview: Sophie is exploring teachers’ perceptions of their own knowledge, competence and responsibilities with regard to mental health of students in their care. 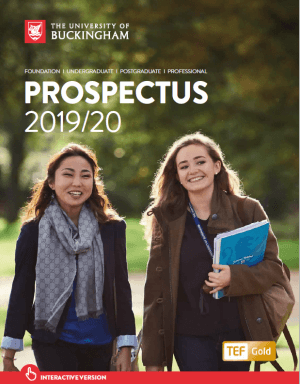 Overview: Sarah is a part-time research student, exploring aspects of the assessment and diagnosis of primary school children with MLD (moderate learning difficulties) in connection with her role as SENCO at a primary school. Overview: Ramona is investigating primary school teachers’ understanding of astronomy concepts and how this relates to their logical thinking, pedagogical knowledge, self-efficacy and their confidence in science teaching. Overview: Investigating emotion detection and working memory in relation to a variety of measured factors in specific adult populations. Hannah is using both questionnaire and face to face assessment. Overview: George is researching the role of bystanders in cyberbullying situations. Overview: Nicole is studying online and offline impression management in a niche expertise group, looking at the stresses and time demands involved in self-presentation. Overview: Megan is investigating the difference between actively sought and passively viewed sexually explicit material on the behaviour of young adults. She is examining the methods through which sexually explicit material is accessed and shared, and explore how this impacts on the views and behaviour of young people aged 11-18. She is also seeking to explore how parents and teachers tackle these issues in both the home and school environments, with the eventual aim of designing and implementing an intervention targeting the sexual behaviour of adolescents both on and offline.